LTP offers a variety of print and digital resources on Christian initiation. Browse a complete listing of resources in English and Spanish for RCIA catechists, team members, clergy, inquirers, sponsors, and more at www.LTP.org/christian-initiation. 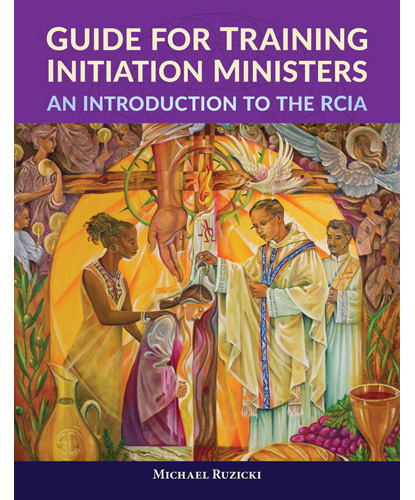 This practical guide provides parish leaders with the tools needed for facilitating and training all those involved with the adult Christian initiation process. The enclosed training sessions explore the vision, theology, and purpose of the Rite of Christian Initiation of Adults in a lively, interactive, and faith-filled way. Supplemental resources are available for download online, and the enclosed DVD includes thirteen videos that will deepen and enlighten participants’ understanding about the RCIA process. 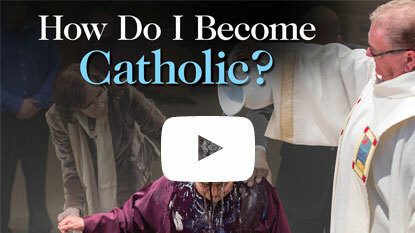 This free short video provides a basic overview of the Christian initiation process, answers questions of those seeking to be baptized, and includes personal reflections of those recently baptized. The free video can be shared and viewed on Vimeo and YouTube.